What is the Most discussed Feast of YHVH in scripture? According to Michael Rood it is the Feast of Trumpets! Yom Teruah! Why is this special? What does all this have to do with me, today? I have often sung in the chorus for Handel’s Messiah. One of my favorite pieces in this magnificent work is when the orchestra starts with trumpets. Then we hear sung the words “The Trumpet shall sound! And the Dead Shall Be Raised, Incorruptible!” (1 Cor 15:52) It always gave me goose-bumps, and it is even more significant to me now that I know what this verse is talking about! Mat 24:37 “And as the days of Noah, so also shall the coming of the Son of Adam (Yeshua) be. Mat 24:39 and they did not know until the flood came and took them all away, so also shall the coming of the Son of Adam be. Mat 24:40 “Then two shall be in the field, the one is taken and the one is left. Mat 24:41 “Two shall be grinding at the mill, one is taken and one is left. Mat 24:42 “Watch therefore, for you do not know what hour your Master is coming. Those who follow the Feasts of YHVH drop everything when the first day of the seventh month is declared by the sighting of the moon. It declares a Feast Day Sabbath! All the believers are ready for the news by preparing for this event in the days leading up to Yom Teruah. The days in the sixth month are used to make preparation for the new moon sighting that heralds Yom Teruah. Everyone makes sure that their garments are clean, just as Moses asked the Israelites to get their linen garments fresh and white and laid out to prepare for the handing down the Ten Commandments. Like a bride awaiting her husband! Why the Seventh Month? Is that significant? Seven in Biblical symbolism means: Perfection or Completeness.2 What does it foreshadow, and what does it commemorate? Yom Teruah is to commemorate the handing down of the Ten Commandments, and is also a shadow picture of when the groom comes for his bride. The Ten Commandments were actually handed to Moses on the Feast Day of Shavuot (Spring feast, also known as Pentecost). We were commanded to observe the first day of the seventh month with a Feast of Blowing the Trumpet. It relates to the Ten Commandments because that is how the Israelites were brought to attention at Mt. Sinai! The number ten means law, government and restoration. So, Yom Teruah commemorates the perfect and complete establishment of YHVH’s law and government, and foreshadows the restoration of His law and government when He returns! How exciting is that?! 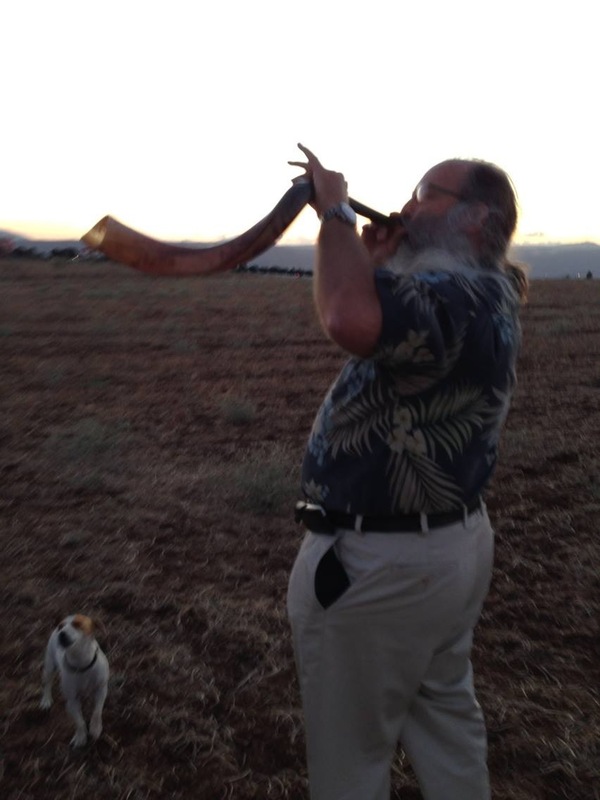 It is a good reason to shout, sing, praise and blow the Shofar! HalleluYah!